10.4" x 10.4" stitched on 14 count. 8.1" x 8.1" stitched on 18 count. 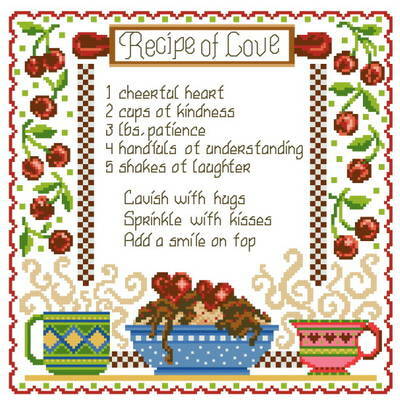 Recipe of Love cross stitch pattern... This recipe will warm your heart and your home. A sweet verse to cherish the ones you love.